Specially designed to start strong (down to -20°F***) and power through in the toughest winter conditions, this engine offers uncompromised power and displacement to help you get the job done. Plus, oversized controls provide mitten-friendly operation. Adjust the direction the snow is thrown from left-to-right with the left side chute crank. 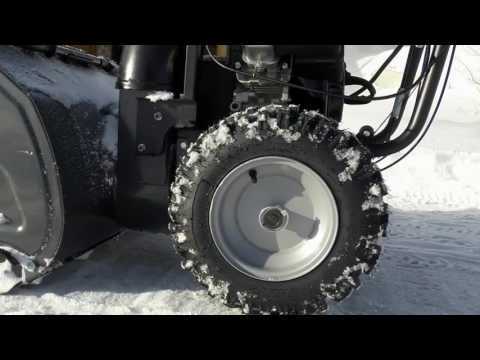 This is a self-propelled snowblower with six forward and two reverse speeds. Durable steel frame and chute and notched steel auger can take on snow and ice with ease. A durable aluminum gear box provides long life.